Hurricane Harvey did more than transform cityscape by turning highways into rivers; it also upended life for farmers and ranchers across dozens of counties that Gov. Greg Abbott declared disaster zones. Like many of his neighbors, Robby Reed had high hopes for his cotton fields in 2017. The hurricane-turned-tropical storm devastated a wide swath along Texas' Coastal Bend. Flooding from the relentless rains sent five feet of water into Reed’s two-story house and swamped his only partially harvested cotton fields. “Everything else is just, you know, kind of wasted,” the 39-year-old said this week. Harvey also affected cropland. Texas rice producers had already harvested about 75 percent of the year’s rice crop, according to the Agriculture Department, but wind and water likely damaged storage bins, leading to more crop losses. Harvey hit cotton farmers like Reed particularly hard, destroying their prospects of a banner year. While the region’s crops — corn, for instance, were out of the ground before the storm hit, cotton was another story. 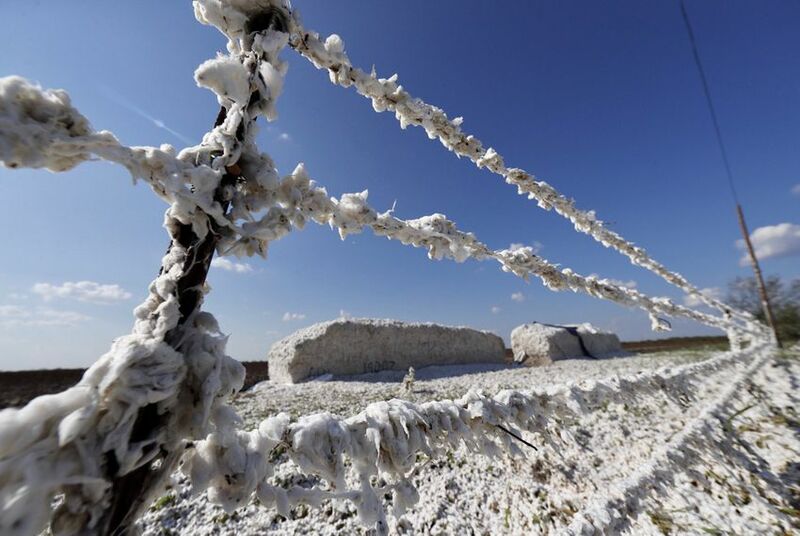 What’s more, high-speed winds ripped apart cotton modules — large blocks of unprocessed cotton — leaving them strewn about fields and gin yards. Reed said the floodwaters had kept him from even being able to survey the damage to some of his land near Matagorda Bay, and that he planned to soon take a ride in his buddy’s helicopter to take a look. Though Reed said his family would ultimately “be alright” after rebuilding and replanting, they wouldn’t forget this setback. "There’s been some storms and hurricanes, but nothing like this that I can remember,” he said. “I don’t even remember the name of the storms and hurricanes and the year it was, but I’m pretty sure I’ll remember Harvey in 2017." Those wanting to assist Harvey-struck farmers and ranchers have a few options, according to the Texas Department of Agriculture. They can donate to the State of Texas Agriculture Relief Fund, which is managed by the Agriculture Department but only accepts private donations. Find more details here. The Agriculture Department also accepts donations of hay and animal feed. Find more information here, or call 512-463-9360. Those wanting to volunteer; report live or dead animals; or donate shelter or supplies for animal can call the Texas Animal Health Commission’s Animal Response Operation Coordination Center’s Hurricane Harvey hotline: 512-719-0799. Disclosure: The Texas Farm Bureau and Texas A&M AgriLife Extension Service have been financial supporters of The Texas Tribune. A complete list of Tribune donors and sponsors can be viewed here.